Cogent Communications Doral Florida Data Center is located at 3701 Northwest 82nd Avenue, Doral, FL, USA. The gross building size for this location has not been provided. There is a total of 5368 sqft in raised floor space for colocation. No power information has been offered for this location. We found 39 data center locations within 50 miles of this facility. No certifications are specified for this location. 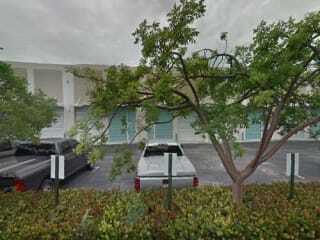 Cogent's Doral, FL Data Center is located at 3701 NW 82nd Avenue. Colocate your business critical equipment in the Doral Cogent Data Center's secure, state-of-the-art data center that connects directly to their Tier 1 network. Cogent's IP Transit & Ethernet transport connectivity - Fast Ethernet 10 - 100 Mbps - Gigabit Ethernet 100 Mbps - 1 Gbps - 10 Gigabit Ethernet 500 Mbps - 10 Gbps Customer Support Engineers are available 24x7x365 and answer your calls in less than 25 seconds. Local support and online account management provide individual assistance and anytime access, regardless of time zone. 3 Products at this Location in the MarketplaceAnd over 275 at other 2451 locations!